One of the tactics recommended to combat the new Facebook algorithm is “See First.” But what does that mean? How do you do it? And is it even useful? “See First” keeps eyes on your stories, pictures, videos despite the algorithm upheaval. With the 2018 update, Facebook highlights posts from users care about like friends and family. No offense, but your business may not be one of them. 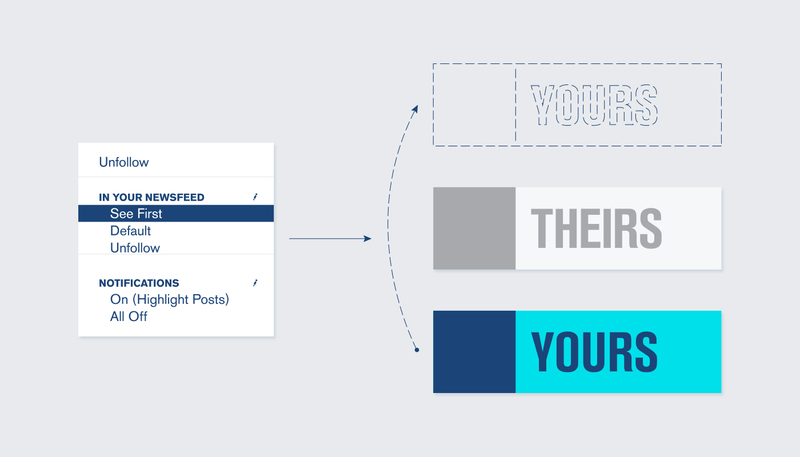 “See First” gives people the option to select your page as something they want in their feed. How do you become “See First”? Here’s the easy part: signing up. Find a page you want to follow, for this instance let’s say Swim. Go to the Swim page and click Follow. A menu should pop up and you should select “See First.” Now, you’ve showed Facebook that Swim’s going-ons matter to you. The hard part: the ask. Most likely, most people are not going to jump on seeing your posts front and center every time they open FB. (Unless your content is killer.) It updated for a reason. Still, it never hurts to ask — as long as it’s not obnoxious. Stay true to your voice and don’t push too hard. Bad: Don’t miss a post! Make “insert brand name” a See First brand on your Facebook RIGHT NOW!!! Good: We definitely get wanting to see more family and friend pics, less sell sell sell. But…if you miss us, make us a See First page. Follow us and click See First. Then, treat yourself to a cozy cup of coffee, because you’re awesome. Is “See First” even useful? To be honest, “See First” is probably the last priority on the Facebook changes tactic to-do list. Yes, it’s just a couple of clicks, but people are not waiting around just to follow you. It never hurts to ask, but we’d recommend putting more energy into other areas, especially content creation. But hey, if you want to “See First” us that’d be cool.